HearSayLW: Products To Keep Hearing Aids/Cochlear Implants On - All Waking Hours. Products To Keep Hearing Aids/Cochlear Implants On - All Waking Hours. Eyes Open Hearing Aids or Cochlear Implants On! as a normally hearing infant accumulates in one year." (Stovall, D. . Teaching Speech to Hearing Impaired Infants and Children. 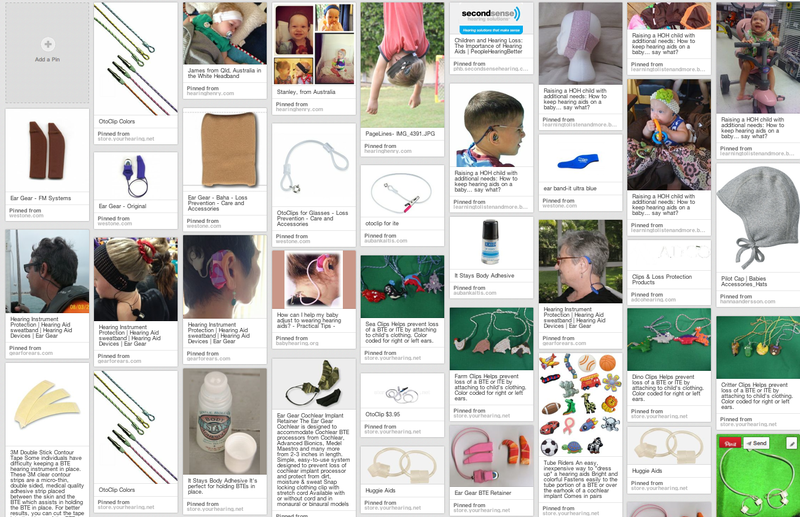 Click HERE to visit my Pinterest Board with product ideas for all ages! The auditory portion of the brain needs to be developed before a child can use hearing to learn speech, language, social skills and reading. To develop the auditory brain, a child needs to hear ALL DAY long, every day. The speech the child hears needs to be clear and loud enough to perceive soft speech sounds. - Typical hearing children hear 46 million words by age 4 years. - Children need 20,000 hours of listening before they are ready to begin to learn how to read. What does this mean for a child with hearing loss? It means that to be ready to start school like other children of the same age it is essential for the child to wear hearing aids every waking hour. Without consistent, all-day use of hearing aids the child is not likely to have language and social skills similar to age mates, nor will she be ready to learn to read at the same time. Even children with ‘mild’ hearing loss may have language more like 3 year olds when they are kindergarten age if they do not consistently use hearing aids. 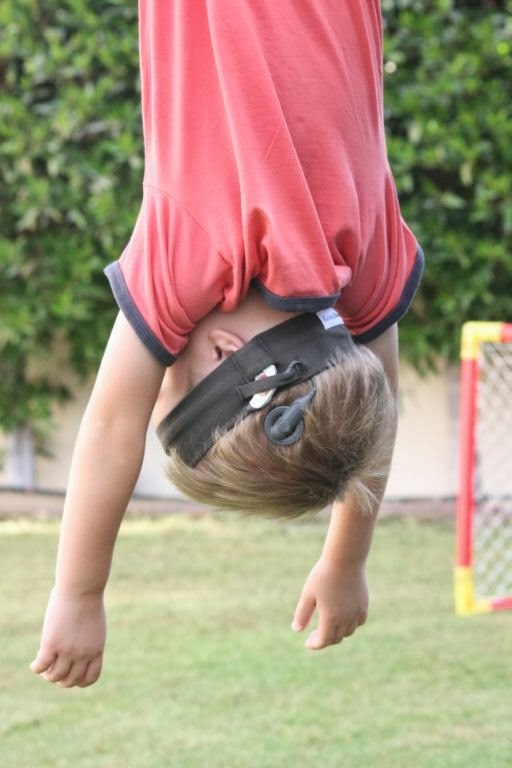 The important brain development period of the first year to two years cannot be made up later – children do not ‘catch up’ once they go to school. What do hearing aids need to do? Most of what a child learns she learns by overhearing - not by someone speaking to her directly. 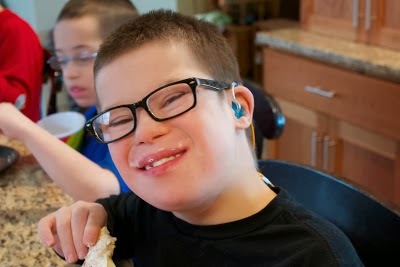 For this to happen, hearing aids need to provide enough sound for a child to hear soft speech. Even with hearing aids, children will not hear ‘normally’ and may need three times the exposure to learn new words and concepts. Hearing high frequencies is very critical (such as the hearing the difference between cat, cap, calf, cast). For children to hear soft speech and high frequency speech sounds, we need to be certain that hearing thresholds with the hearing aids are at 20-25 dB for all speech sounds. Once the audiologist has set the hearing aids to provide sufficient benefit, parents need to take over and be certain hearing aids are working well every day. Hearing aids need to be checked daily. When a child gets a hearing aid, parents should get a listening tube or hearing aid stethset. Each morning, someone needs to listen to the hearing aid to be sure it is working. Plug one end of the listening tube into the end of the earmold with the other end into your ear. Then just talk. Repeat the Ling Sounds (ah, ee, oo, mm, sh, ss) slowly, and then say some simple sentences. When listening every day, the sound of the hearing aid will become familiar and you will be able to hear a change if there is something wrong. If the hearing aid “sounds funny”, try taking off the earmold and check the hearing aid without the earmold. If it sounds okay without the earmold, check that the earmold is not clogged with wax, and check the earmold tubing to be sure it looks fine. If it still “sounds funny” and you know it is not a simple problem with the earmold then the hearing aid needs to go back to the audiologist to be checked. More information on Listening Checks can be gathered HERE.